Place the pork belly in a zip top bag with the Sweetwater Spice Tres Chiles. Refrigerate for an hour and a half. 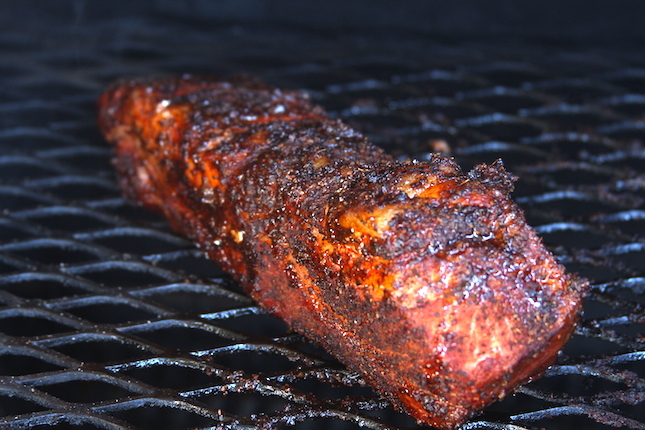 Preheat your Yoder Smokers YS640 Pellet Smoker to 275ºF, and light an A-MAZE-N Tube Smoker, for extra smoke flavor. Remove the pork from the liquid. Remove excess liquid from the surface of the pork with a paper towel. 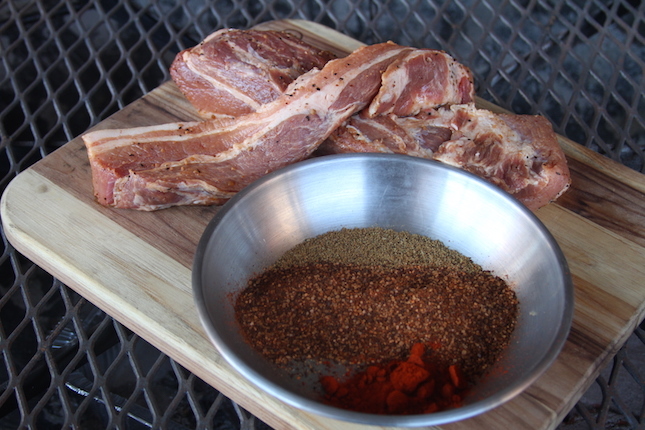 Season with the Cattleman’s Grill Smoky Chipotle Rub, cumin and smoked paprika. Smoke until internal temperature reaches 140ºF, about an hour. Check the temperature with an instant read thermometer like the Maverick PT-100. Remove from cooker. Rest 10 minutes. Slice into 1/2” thick slabs. Fry in a pan until crispy. 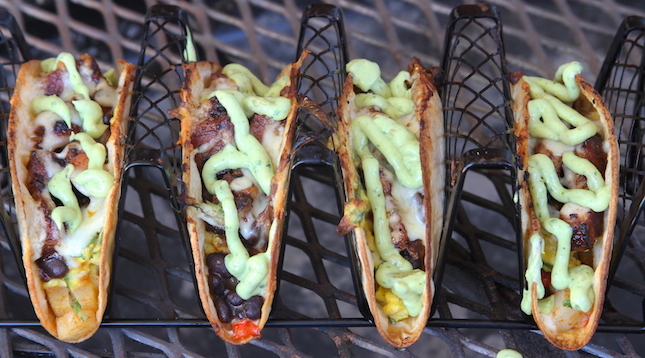 Assemble tacos in a Charcoal Companion Taco Rack and grill indirectily on a 350ºF cooker until tortillas are slightly crispy. Preheat your Yoder Smokers YS640 Pellet Smoker to 400ºF. Toss all ingredients in a half sized foil pan. 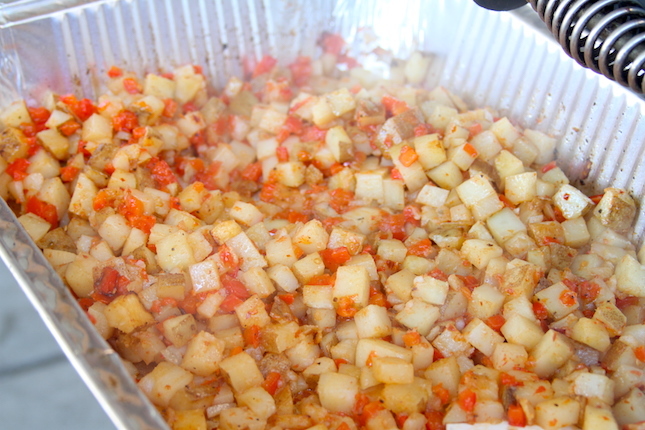 Cook until potatoes are tender, about 20 minutes. Taste and season with salt, as necessary. 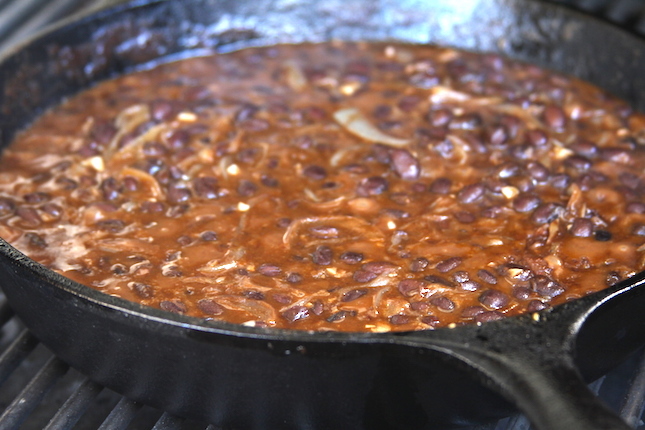 Melt the fat in a 12” Lodge Logic Cast Iron Skillet over medium heat. Add the onions and a pinch of salt. Stir to coat all onions. Let onions cook down until soft and slightly browned, 10-15 minutes. Add the garlic and seasonings. Cook one minute. Add the can of beans. Simmer 10 minutes. Heat a 12” Lodge Logic Cast Iron Skillet over medium heat. 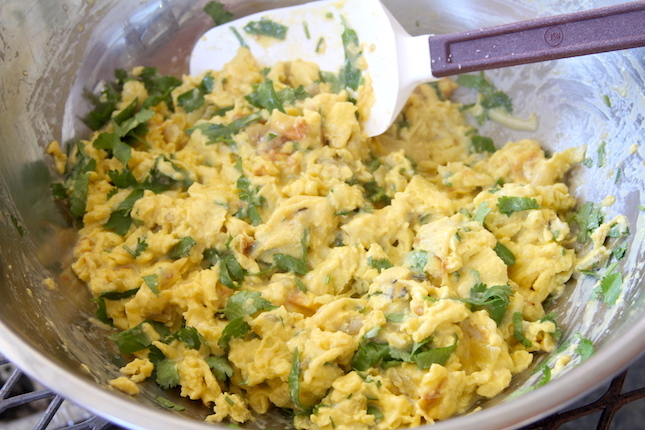 In a bowl, mix together the eggs and 505 Southwestern Fire Roasted Green Chiles. Add the oil to the pan, then the egg mixture. Cook to desired doneness. Fold in the cheese and cilantro. Taste and season with salt, as necessary. Combine all ingredients in a blender or food processor, and blend until smooth.